Ever since I was a young boy I’ve played the silver ball. From Soho down to Brighton, I must have played them all. But I ain’t seen nothing like him in any amusement hall. That deaf, dumb and blind kid, Sure plays a mean pinball! It is 46 years ago that the rock opera, Tommy was released, one of the first attempts at treating rock as an art form. The artists were The Who. 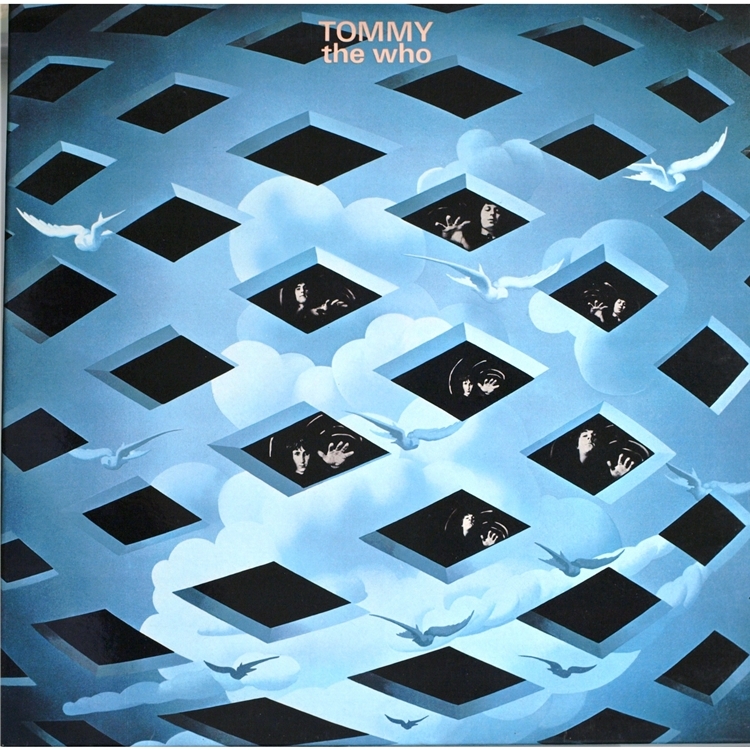 It’s a double album telling a loose story about a “deaf, dumb and blind kid”, Tommy was the first musical work to be billed overtly as a rock opera. Released in 1969, the album was mostly composed by Pete Townshend. In 1998, it was inducted into the Grammy Hall of Fame for historical, artistic and significant value. Pete Townshend’s inspiration for the album came from the teachings of the Meher Baba and other writings and expressing the enlightenment he believed that he had received he told in the 1996 edition liner notes. It’s an enormously ambitious work, and Townshend was in his mid-twenties when he undertook this task! Townshend had already attempted the concept format with his semi-successful A Quick One. In reality this and Tommy had much in common. Both showed the composer to be fast outgrowing his r ‘n’ b roots to become an accomplished explorer of themes and moods. Tommy’s true glory lies in its extended instrumental passages that, while being a little repetitive, blend themes gloriously. In 2003, the album was ranked #96 on Rolling Stone’s list of the 500 greatest albums of all time. It was ranked #90 on VH1’s 100 Greatest Albums of Rock & Roll and appears in the book 1001 Albums You Must Hear Before You Die. NME ranked it 16th on “NME Writers All Time Top 100” in 1974. Q ranked it 9th on their list of “The Music That Changed the World: Part One 1954–1969” in 2004. …Townshend’s ability to construct a lengthy conceptual narrative brought new possibilities to rock music. Despite the complexity of the project, he and the Who never lost sight of solid pop melodies, harmonies, and forceful instrumentation, imbuing the material with a suitably powerful grace. 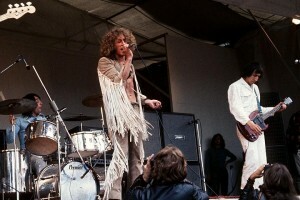 Here’s another classic The Who concert, and it was the last full performance of Tommy in the United States. During the summer of 1970, Bill Graham presented an extraordinary series of concerts at Tanglewood, a renowned classical music venue in western Massachusetts. 52 minutes of classic rock! 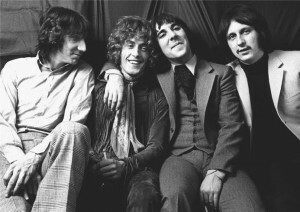 The Who played in one of Bill Graham’s concerts, which was the last American performance on their 1970 tour. It turned out to be one of their most memorable concerts of all time, with Keith Moon’s incredible drumming still at it’s best. That said, what strikes me is Townshend’s fantastic guitar playing, he is truly one with his tool, what an artist!